RISE is a great organization that I’m glad I have an affiliation with. I see the hard work first hand, and also the hustle that goes into making it what it is today, and what it will grow to be in the future. 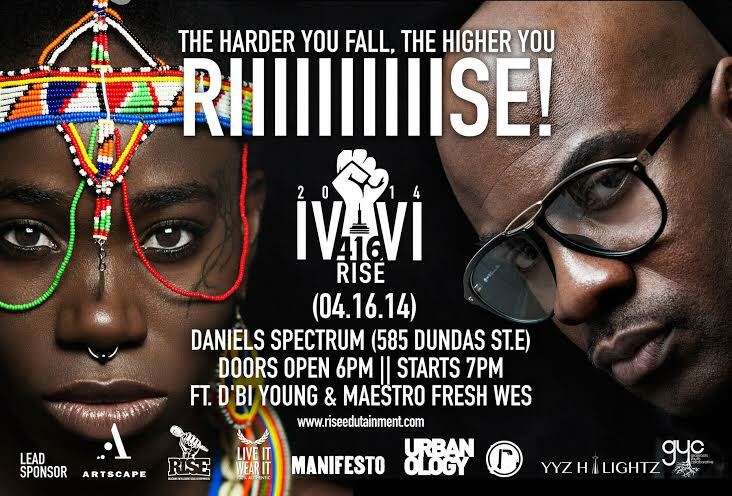 Having been to a good amount of the RISE Monday shows and the first Edutainment Convention, 416RISE is definitely an event that has the potential to be great, as it goes into its 2nd year of the event. Whether it’s from having talented artists showcase their skills, or having a panel of industry experts help up and comers learn about the nature of the business, RISE does live up to their ‘Edutainment’ purpose, through and through. 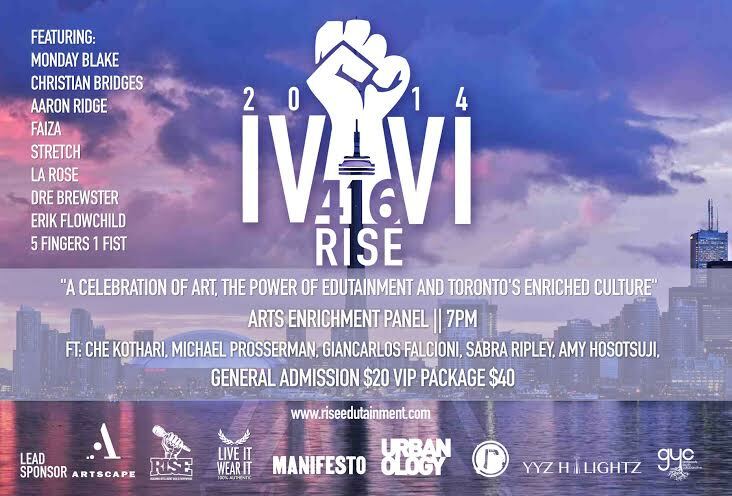 RISE is one faction that’s empowering the progress of Toronto’s urban art culture, so definitely check it out and show love.